Remember those commercials, with people doing a chicken dance and clucking on about how they wanted chicken….tonight? It was for some canned chickenish convenience dinner, I think. Gosh, the nineties had some great commercials. Like the McDonald’s “Arches” commercials?! The. Best. Anyway. I felt like chicken tonight. Except that my lovely Pat’s Pastured chicken was frozen, so really, I had to decide on Saturday night that I’d feel like chicken tonight. So. I have clearly had roast whole chicken on the brain for a while. 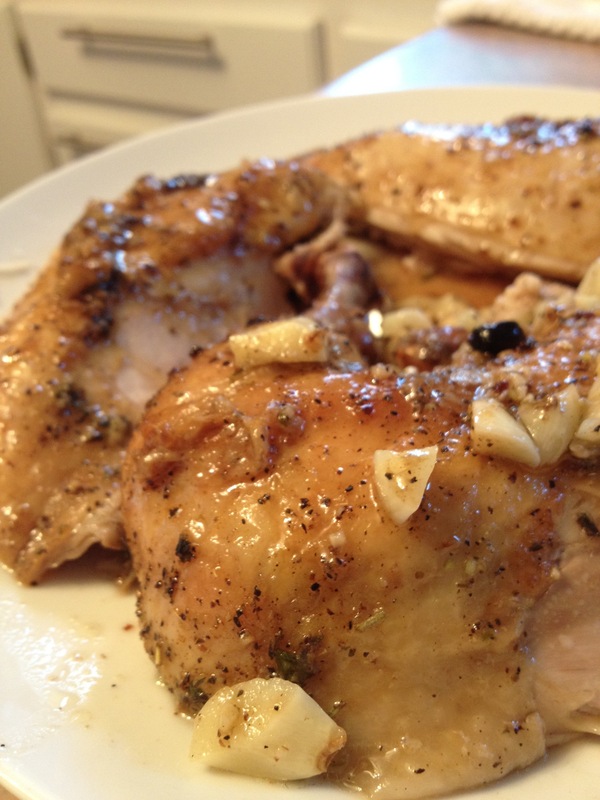 And nothing tops a simple roasted whole chicken, flavored simply with lemon, garlic (in this house, enough to kill Dracula), salt, pepper, herbs de Provence, and olive oil. I’ll probably end up throwing some picpoul de pinet in the bottom of the roasting dish to keep things juicy and frenchish. Man, this blog features a lot of raw meat. Meh, I’m obviously ok with that. 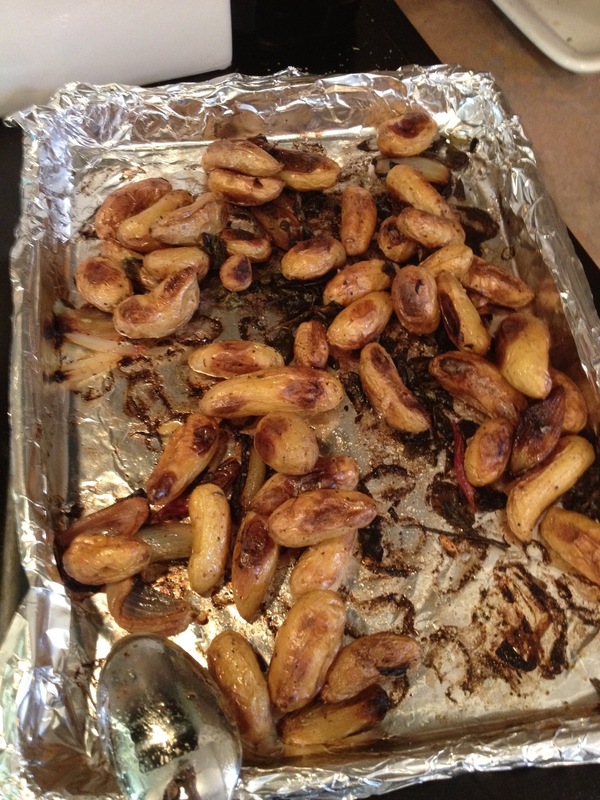 To accompany le chicken, roasted teeny tiny fingerlings flavored with shallots, lemon, smoked sea salt, pepper, and oregano from out back. 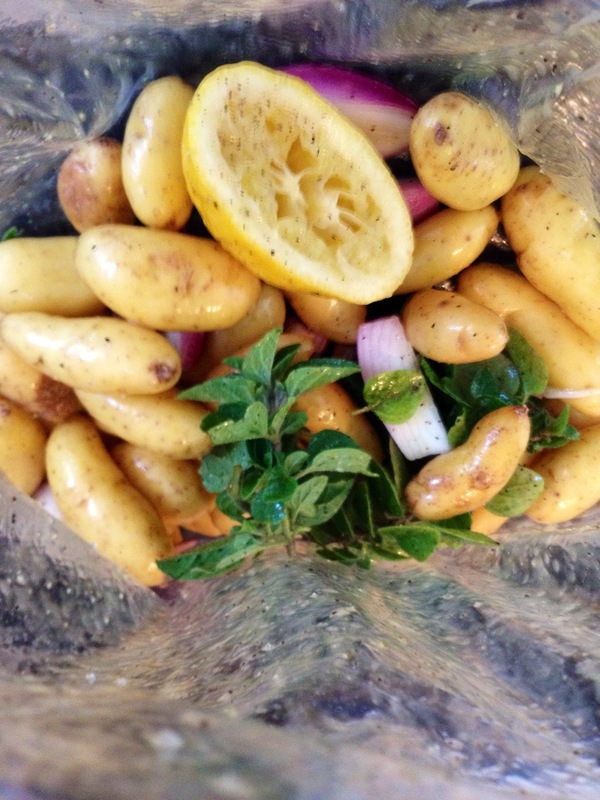 My favorite method for tossing things like salad or veggies in sone sort of dressing or marinade…admittedly not green. Meh. Ok. Hey, at least I’m eating vegetables, right? I’ll probably pair it all with some salad. 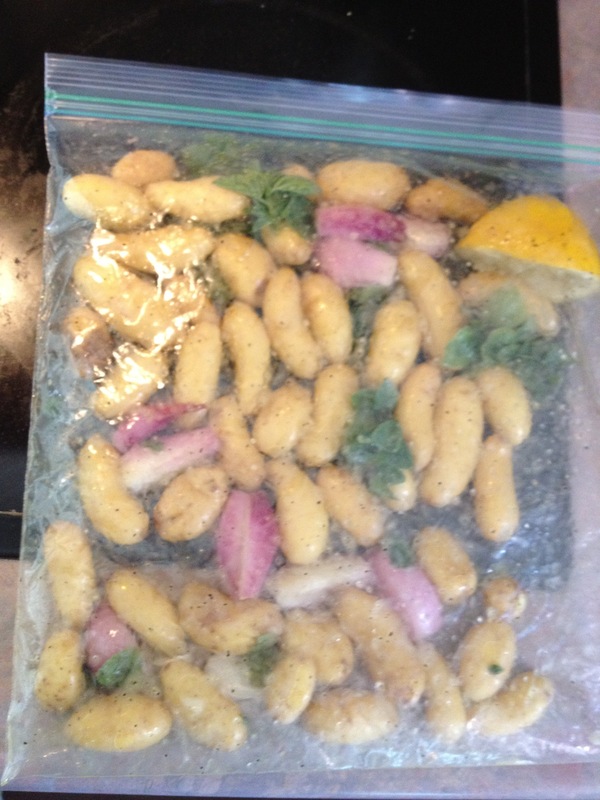 Heck, maybe I’ll even reuse the plastic bag from the potatoes. I really only ever dress salad with olive oil, lemon, salt and pepper anyway. (dude, it was boring lettuce mix from the store. No pic). (…yeah, we ate before I remembered. Oops). 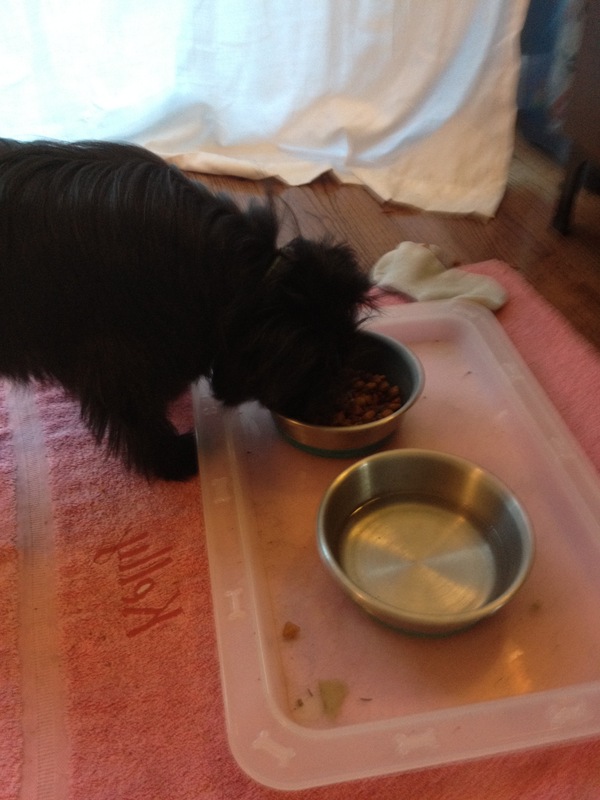 But, Aggie loved the chicken! She got to nosh on the little juicy bits from around the back bone. 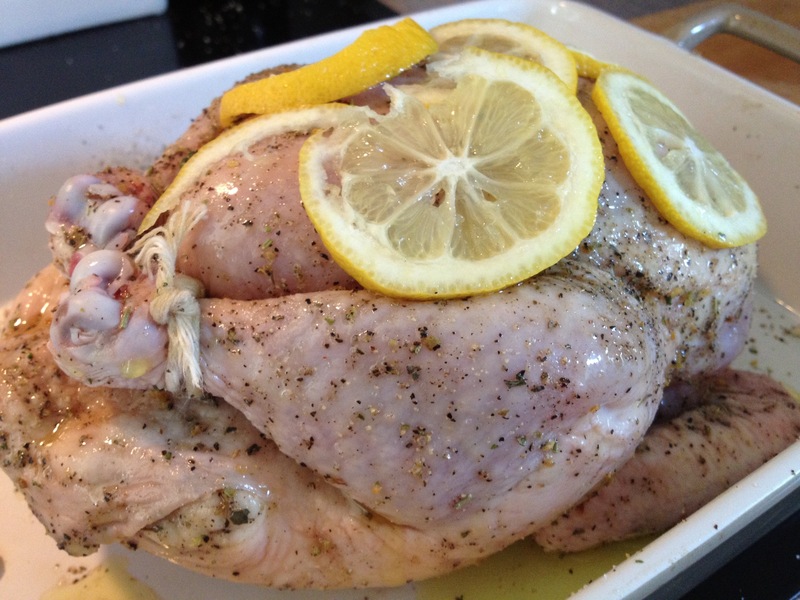 It was delicious: moist, lemony, chickeny. We ate out on the patio while Aggie licked an ice cube. This is the life, folks. My rundown is sorta sad, I’ll admit. The chicken was from our Pat’s Pastured meat CSA, and the oregano is from my backyard. Everything else is probably from Trader Joe’s. Hopefully this list will grow soon. Our Casey Farm CSA starts tomorrow! That chicken looks juicy and delicious! Come and link up this amazing dinner idea made with CSA chicken 🙂 http://inherchucks.com/2012/06/06/whats-in-the-box-29/. Can’t wait to see what you will get in your first CSA veg box! Do you import your salad dressing from Cataluna, or do you make it at home? (p.s. you forgot the tortilla). Ugh blergh. No more gray pre made tortilla ever. But yes, that salad dressing is probably the only one I’ve made since April 28, 2006. Es la verdad, vale? There is nothing like the flavor of carmelized veggies.